Good things comes in PAIRS. - 2PCS in 1 pack. Please note: Blackout and Day Curtains are sold separately. 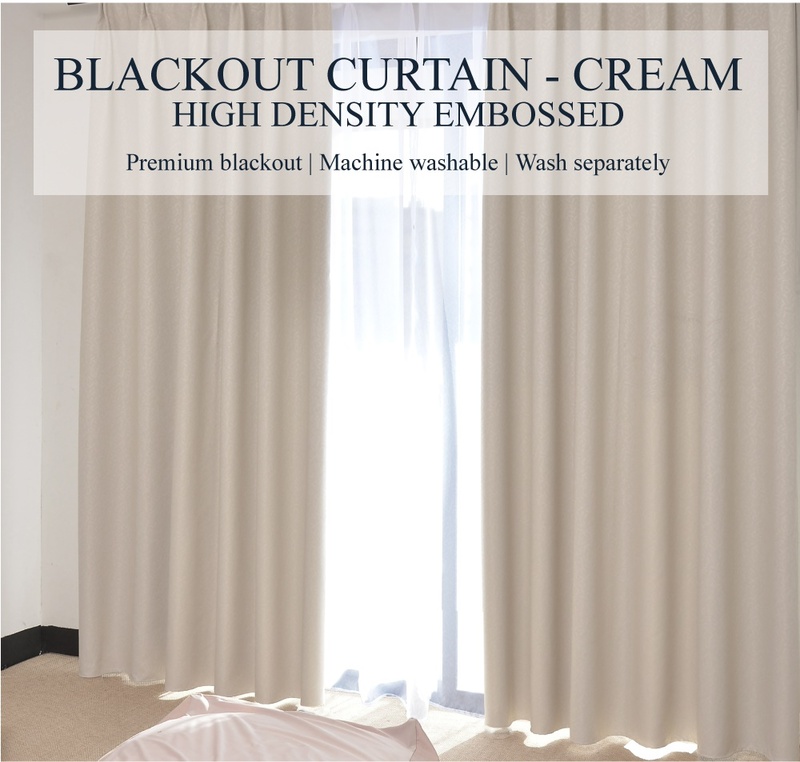 Our Blackout curtains have a natural fabric feel and do not make "plastic" noise. Our curtains are made of thick fabric material and customers are more than welcome to come and feel the material before buying. If you are visiting the warehouse for a free no obligation consultation, please measure your windows before coming. Please also take pictures of your windows so that we can advise you correctly. 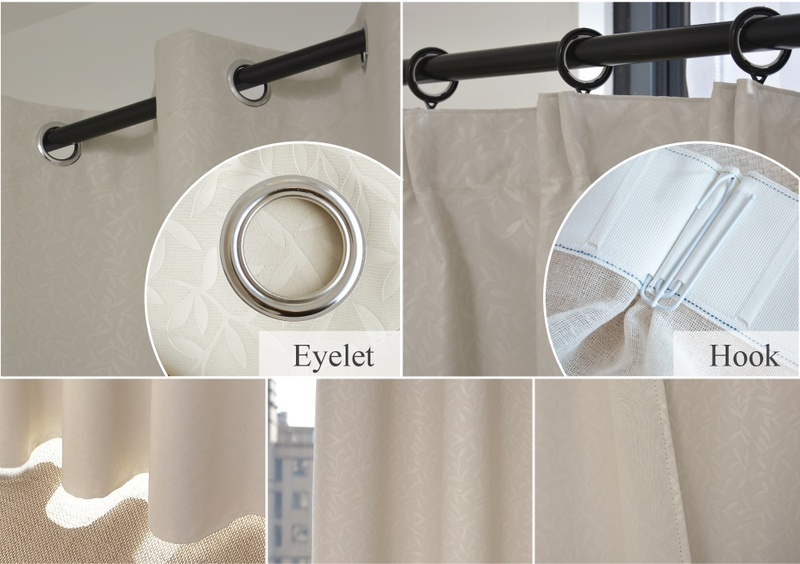 For eyelet curtains, please measure your CURTAIN ROD and also the actual window width left to right. To measure the height please measure from the rod to the end of your window, top to bottom. For hooks curtains, please measure your CURTAIN RAIL left to right. To measure the height, please measure from the rail to the end of your window, top to bottom. Please have all measurements in CM. Credible blackout curtain should consist of 3-layer fabrication to minimize sunlight penetration. Our curtains are folded into standardized size for easy transport. You might encounter "Folding Line Syndrome" where the light absorbing black threads in the 2nd layer of the fabric is visible at the fold lines. The threads are tensed at the fold lines due to the folding. This will usually go away by itself after 2-weeks, however, you can fix this issue with a steam iron very quickly. The steam will release the fabric tension and folding line syndrome will disappear. The video below will give you a clear picture of how it works. and the folding line will disappear. Below is an example of before and after steam iron.